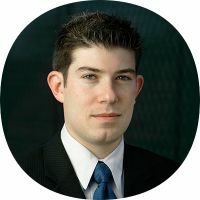 Jeff Passan has covered Major League Baseball since 2004, including the past 12 years for Yahoo Sports. He is the author of "The Arm," a New York Times bestseller, co-author of "Death to the BCS" and he was named one of the best columnists in the country by the Associated Press Sports Editors in 2016. Follow him on Twitter @JeffPassan. Why Bryce Harper and Manny Machado should become the highest-paid free agents since ... A-Rod?